Congratulations on the new edition to your family! We just love new puppies! 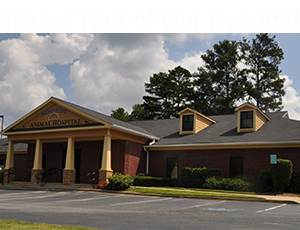 Your puppy’s first visit to Montrose Animal Hospital and Pet Hotel starts your puppy off on “the right paw” and establishes the relationship between you and our health care team. We are excited to meet your new puppy and provide you with the best puppy care, guidance, and information you will need to ensure that your new puppy grows up strong, healthy, and happy! Extensive physical examination of your new puppy by one of our veterinarians. Establish a vaccination schedule and optimal plan for parasite testing, prevention and treatment, including heartworm prevention. Familiarize your new puppy with veterinarian visits. Establish a relationship with you and your new puppy, as well as fully understand your expectations as a pet owner. Provide an occasion to answer all of your questions and/or concerns about puppy care, such as food, nutrition, and/or behavioral questions. Discuss with you any risks associated with your new puppy’s breed and/or environment, including congenital/genetic possibilities. Spay or neuter discussion concerning your new puppy. The recommended spay/neuter time for your puppy when he/she is between 4 and 6 months of age. Discussion about the importance of microchipping your puppy. For more information about microchipping, please visit our microchipping page. Your puppy on a leash. A stool sample that is no more than four hours old. Very young puppies do not have fully developed immune systems and are highly susceptible to infectious diseases. To keep your puppy healthy and to provide optimal protection against disease for the first few months of life, we will schedule a series of vaccinations for your puppy at your first wellness exam. These vaccines are usually 3-4 weeks apart. For most puppies, the final vaccination in the series is administered at when they about 4 months of age. Fleas and ticks are more than an annoyance for your puppy. They can be transmission agents for numerous preventable diseases. Diseases such as Lyme disease, heartworm disease, and West Nile Virus, are preventable if you prevent flea and tick bites. Internal parasites such as tapeworms can also be prevented. We carry the safest, most effective flea and tick preventatives in our pharmacy. Using a flea prevention medicine, you can keep fleas from infesting not only your puppy, but also your home. We will discuss flea and tick prevention for your puppy with you at your puppy’s wellness exam, and together decide on a preventative that best suits your puppy. Your puppy’s wellness exam is the perfect time to discuss your puppy’s nutritional needs with us. Your puppy needs balanced nutrients and access to fresh water. The only accurate information about a puppy food is on the label of the container or package. By understanding a few simple concepts, you can accurately evaluate the label on any pet food. You should ignore anything outside of the product information panel, because that information is for marketing purposes only. The correct food for your puppy involves his or her weight, body condition, life stage and overall health. We will be happy to review your puppy’s food with you so that your puppy is receiving optimal nutrition during this important growth stage.